Property 2: An exclusive, luxury apartment with a private sauna. Property 3: Brand new apartment only about 300 metres from the ski lift! Property 4: Modern holiday home is beside Austria's largest ski-area. Property 7: A pleasant, detached house 2 km from the Salvistabahn. 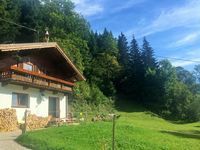 Property 27: Fantastic holiday apartment in the mountains near Brixen im Thale! Property 29: Luxurious holiday home with playroom, sauna, and plenty of privacy in Söll! Property 33: Athletic, unconstrained and way up on the mountain! Property 34: New and modern villa right next to the ski lift: Ski-in/ski-out! Property 35: 2-Zimmer Ferienwohnung "Schwarzenberg"
Property 36: Superbly renovated, detached chalet with a sunny garden and lots of privacy. Property 38: Cosy apartment in a quiet location with great connections in the region! Property 42: New, modern holiday home near the largest ski area in Austria!